The City of Winnipeg is encouraging Winnipeggers to give fall leaf and yard waste a royal sendoff. 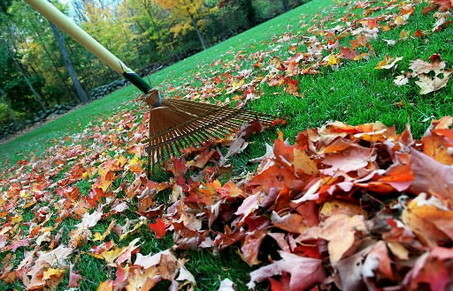 Help prepare for winter by raking and collecting leaves from your yard, adjacent boulevards and roadways. Then take advantage of the City’s curbside leaf and yard waste collection program so that your leaf and yard waste can be turned into beneficial compost! Compost produced from Winnipeggers’ yard waste is used in City flower beds and to landscape finished areas of the landfill. We are also exploring other opportunities for future uses. REMINDER: Citizens are reminded not to rake yard waste material or other debris onto streets or to place yard waste material into manholes or ditches. This can plug drains, which increases the risk of basement flooding. It also contravenes City bylaws and violations may lead to fines. Yard waste is collected once every two weeks, on the same day of the week that garbage and recycling carts are emptied. It will continue until mid-November, weather permitting. Yard waste must be placed in reusable containers (e.g., old blue boxes, plastic tubs, old garbage containers), cardboard boxes or compostable paper yard waste bags. Please place your yard waste containers at least an arm’s length away from your garbage and recycling carts. Residents can also take their yard waste to the compost area at the Brady Road Resource Management Facility. Yard waste will not be accepted in plastic bags, either at the curb or at the landfill. Tipping fees do not apply to loads of only yard waste (no garbage in the vehicle). For more information, including collection schedules, please visit City of Winnipeg – Yard Waste Collection.